A Celebration of the Hibiscus - Happy 56th Independence Day Malaysia! This is the common red Hibiscus rosa-sinensis, the National Flower of Malaysia. The flower petals are edible. It attracts the butterflies and sunbirds! 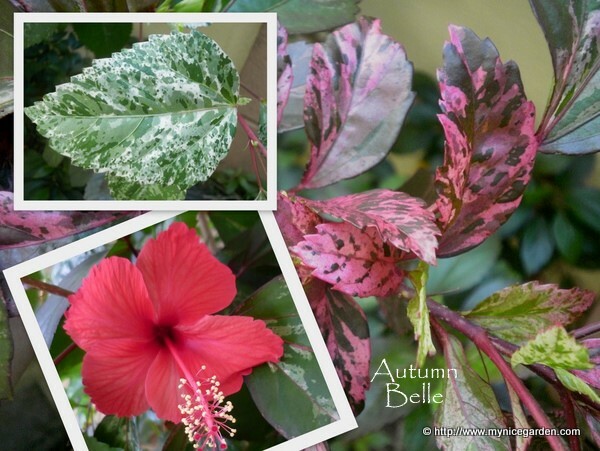 “A Celebration of the Hibiscus - Happy 56th Independence Day Malaysia!”, a copyrighted post, was written for My Nice Garden blog by Autumn Belle @ http://www.mynicegarden.com/ on Aug 28th, 2013. Hibiscus rosa-sinensis hybrid - single flower variety, red colour with white splashes. Hibiscus rosa-sinensis hybrid - single flower variety, purple-pink combo colour, red eye. Hibiscus rosa-sinensis hybrid - single flower variety, purple-pink colour, red eye. Hibiscus rosa-sinensis cultivar - single flower variety, orange colour with red eye. The flower colour changes from white to pink to deep pink within the same day. 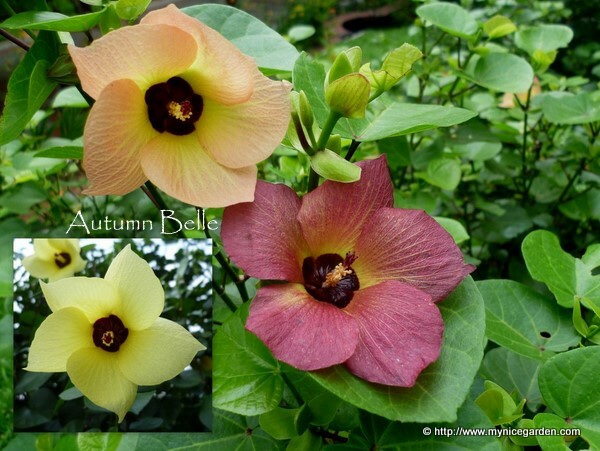 named after this flower, the "Mu Fu Rong"
Hibiscus mutabilis - single flower variety. The flower does not change colour throughout the day. Hibiscus syriacus - double flower variety, purple colour. Hibiscus syriacus is the National Flower of Korea. Hibiscus syriacus - single flower variety, purple colour. The flowers point down and they are always half opened as though half asleep! The flowers point up and look like a Turkish turban. The flower changes colour from cream yellow to pale orange to reddish brown within the same day.